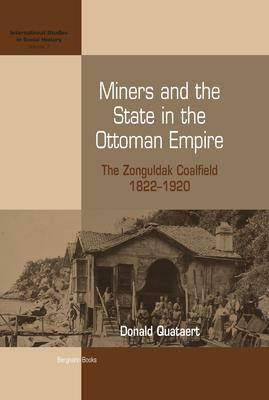 The story of the miners of Zonguldak presents a particularly graphic local lens through which to examine questions that have been of major concern to historians-most prominently, the development of the state, the emergence of capitalism, and the role of the working classes in these large processes. This book examines such major issues through the actual experiences of coal miners in the Ottoman Empire. The encounters of mine workers with state mining officials and private mine operators do not follow the expected patterns of labor-state-capital relations as predicted by the major explanatory paradigms of modernization or dependency. Indeed, as the author clearly shows, few of the outcomes are as predicted. The fate of these miners has much to offer both Ottoman and Middle East specialists as well as scholars of the developing world and, more generally, those interested in the connections between economic development and social and political change. Donald Quataert is Professor of History at Binghamton University, State University of New York. He specializes in Middle Eastern history and also teaches comparative labor history and global history. His many publications include Ottoman Manufacturing in the Age of the Industrial Revolution (Cambridge 1993); (with Halil Inalcik) An Economic and Social History of the Ottoman Empire, 1300-1914 (Cambridge, 1994); The Ottoman Empire, 1700-1922, 2nd ed. (Cambridge, 2005).